My handmade wooden frames consists of two bended in circles and glued together pine rings. 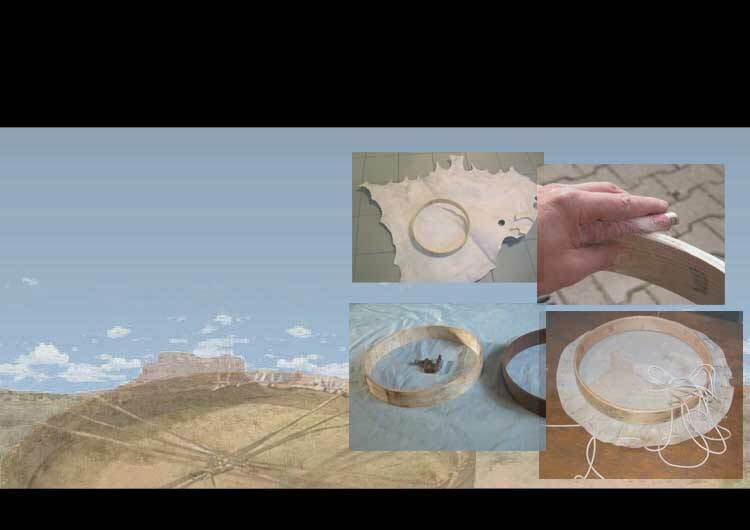 It is light, sounds good and with the stretched rawhide seems the finished drum and the sound to float in the hand. Through the special construction, with intense long-lasting tone the drum is well suited for sound massage, music therapy and shamamic drumming. Only the optimum sound goes out, so that a drum must be stretched, sometimes frequently too, until it has the right sound. Thus, the production can amount to five weeks.